By using fail safe brake system, when power on then brake off; power off then brake on at the same second. Hoisting motor is winding exclusive for a hoisting purpose. Frames are according to IEC specifications and interchangeable. At least "F" insulation class in winding, as such, the motor is always in good insulation, good heat-resistance and proper water protection. It is reliable and safe for high frequency applications. Using the electrohydraulic brake to control the initial lowering speed of hoist. The hydraulic action is controlled by the motor secondary winding. When power off, it works as a secondary brake to increase the brake's safety. All the gears are designed according to hoisting/crane forward + backward rating requirements, high strength and well anti- wearing. It is good for high frequency usage. The up / down limit switch is available. It is screw type mechanical limit switch in harmony with drum's rotating cycle. 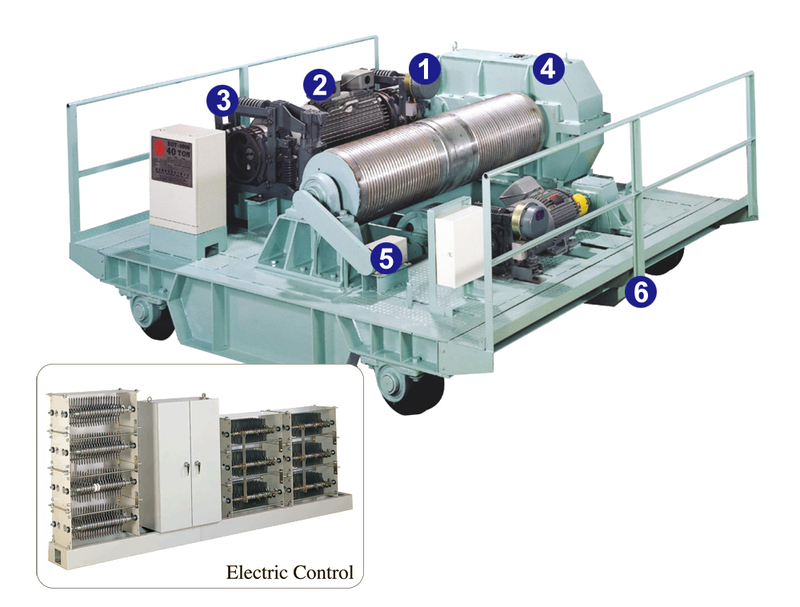 The driving of trolley is modularized for an easy maintenance. It contains brake, motor, reducing gear box and wheel set. 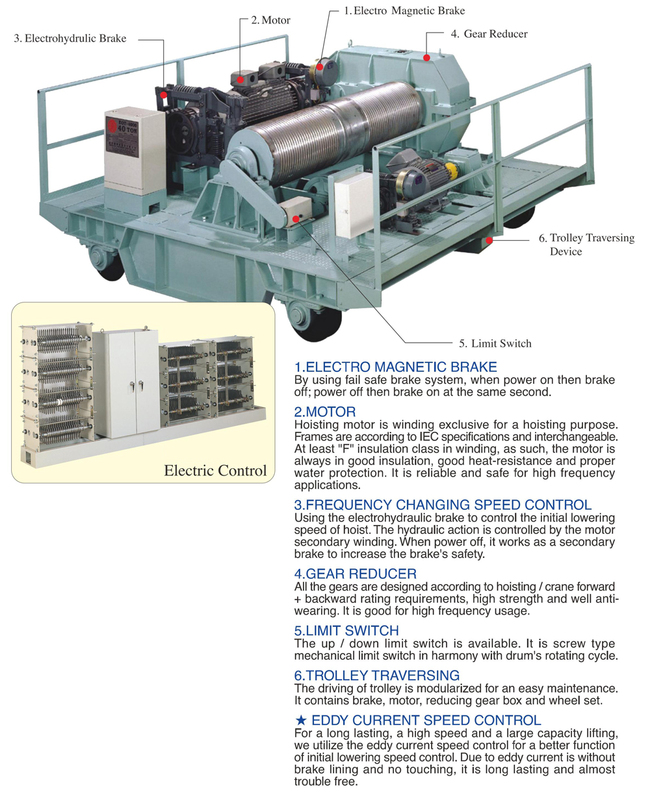 For a long lasting, a high speed and a large capacity lifting, we utilize the eddy current speed control for a better function of initial lowering speed control. 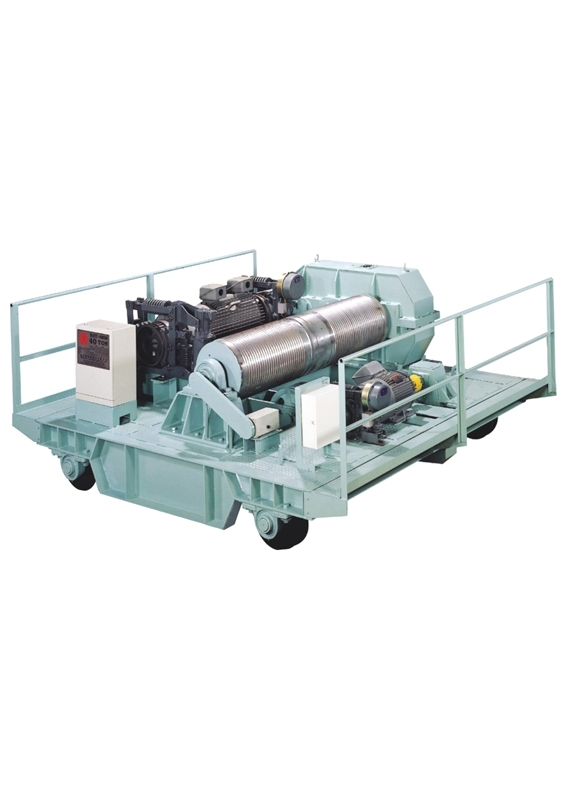 Due to eddy current is without brake lining and no touching, it is long lasting and almost trouble free.